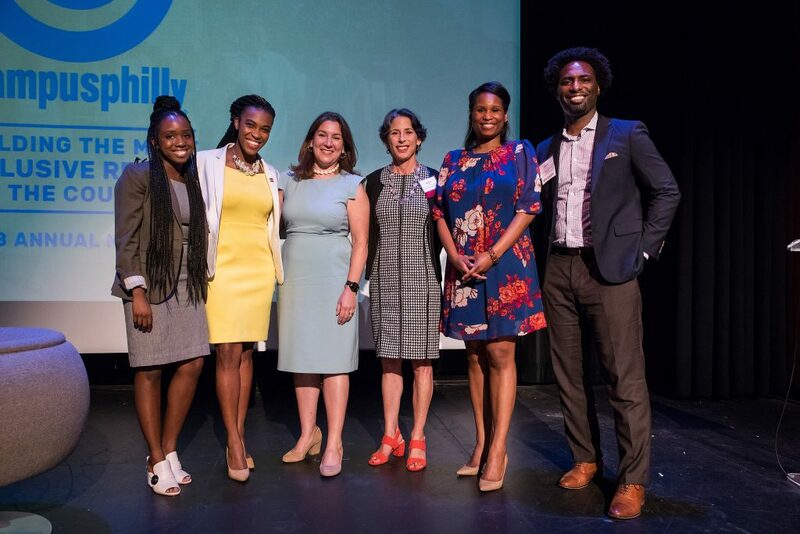 Last week, Campus Philly hosted its Annual Meeting, an event held once a year that brings together higher education professionals, corporate leaders, and individuals from fellow Philadelphia nonprofit organizations. Typically, Campus Philly shares its annual research on the college student audience with these stakeholders. 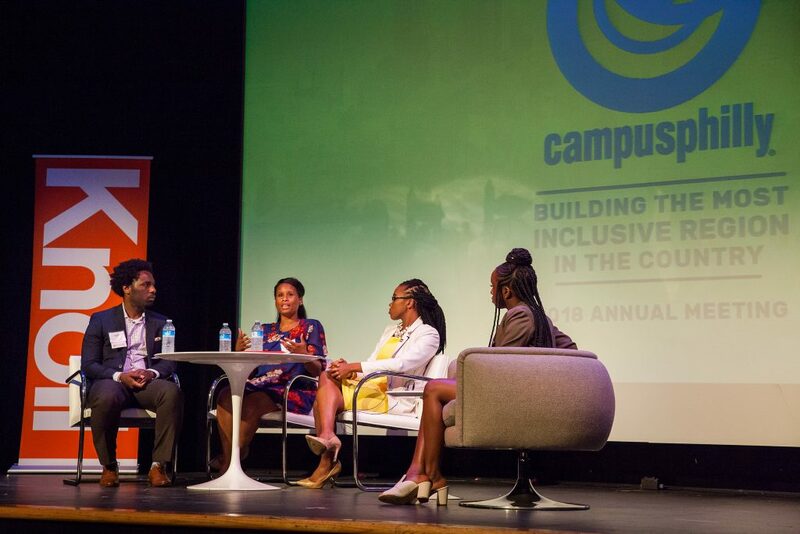 This year, Campus Philly President Deborah Diamond decided to take an unexpected approach to the Annual Meeting by hosting a panel discussion on inclusion on campus, in the workplace and in our communities. 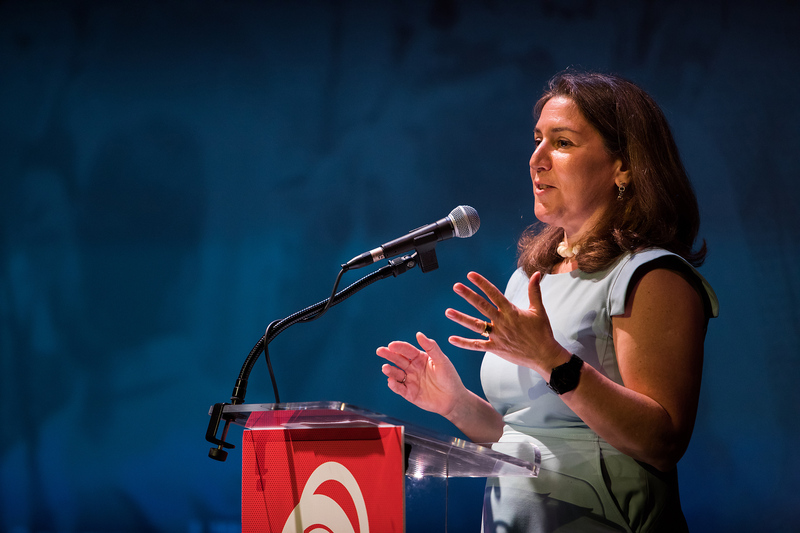 The discussion, “Building the Most Inclusive Region in the Country,” featured three Greater Philadelphia leaders from diverse backgrounds and experiences. Diamond presented a couple of important statistics for our region, showing that Greater Philadelphia’s campuses were comparable in diversity to the national picture, even though the regions our colleges and universities draw on for students are probably the most diverse in the country. In addition, the diversity that exists on campus is not being translated into Philadelphia’s workforce with people of color – only 32 percent of the 25-34 year-old, college-educated workforce in the city. Deloitte sponsored the event, with Director Lou Pichini providing opening remarks and sharing valuable inclusive practices that his company has established, and additional sponsors JLL, Knoll, and Children’s Hospital of Philadelphia provided support to make the Annual Meeting a success. 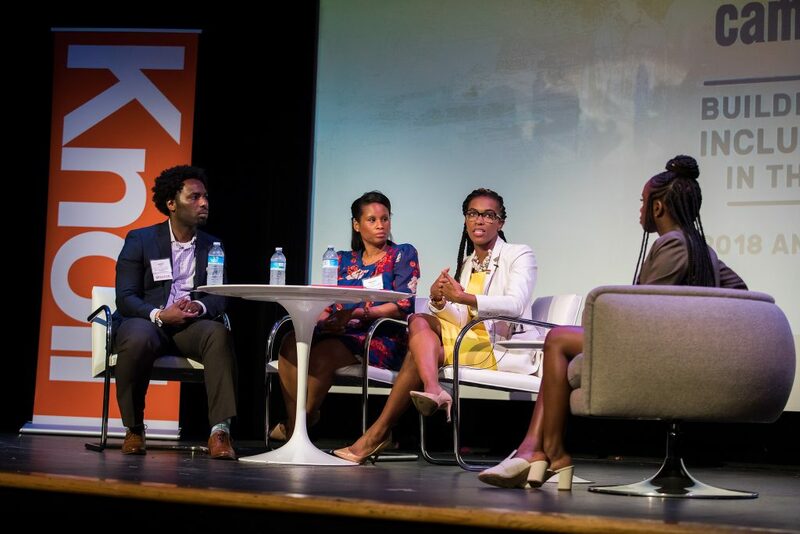 “There’s the reality that organizations are being held accountable at a level that they have never seen before,” said Jameel Rush, bringing awareness to the importance of holding these sometimes-uncomfortable conversations. 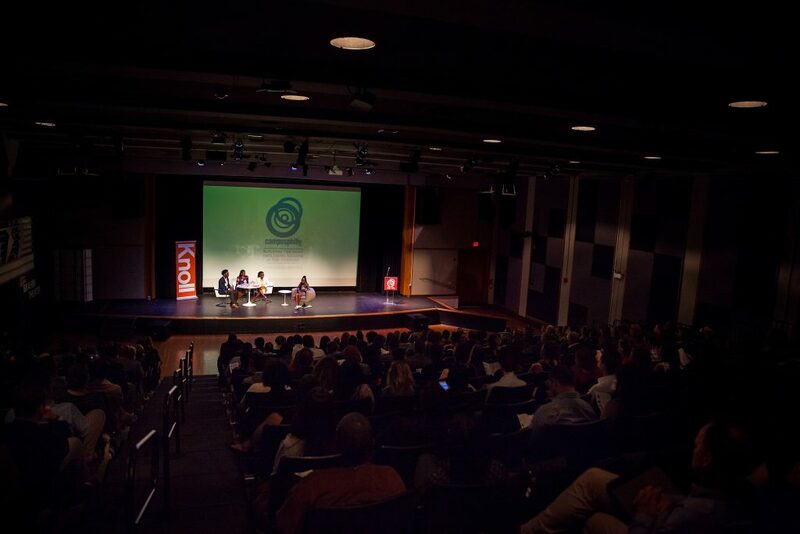 Following the panel discussion, the 300+ attendees continued the conversation at a cocktail reception. Join the vibrant discussion on Twitter using #CampusPhilly and share your thoughts and experiences on creating a more inclusive workplace in Philadelphia so that we can all commit to building the most inclusive region in the country. Previous PostPrevious Where to get your loungin’ on: a guide to Philly’s best city parks! Next PostNext Turn your Startup Idea into Reality!